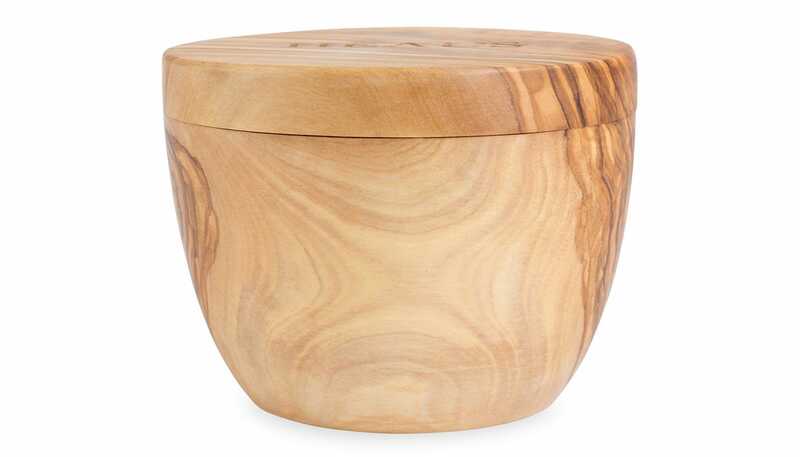 Exceptionally crafted from Italian, Greek and Tunisian olive wood, the Olive Wood Salt & Pepper Cellar is designed to embrace and celebrate the natural beauty of Mediterranean timbers. 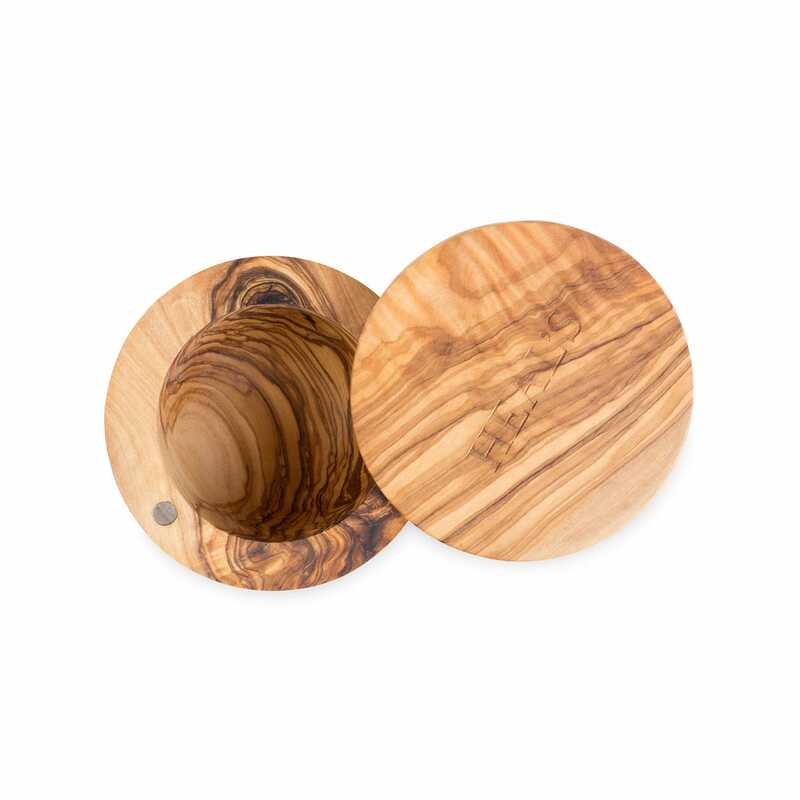 Each piece is crafted to maintain the unique character of the wood with a smoothly cut surface displaying its marbled grain and clever spin open lid. Please note each piece is a one-off design and will vary slightly from images and dimensions shown. Really beautiful addition to any kitchen. Love the sliding lid. Would highly recommend.